When you have a smaller kitchen with limited space, you try to do everything you can to maximize the space you do have available. However, this can be hard to do if you are unclear about how you can organize and use the space to its full potential. 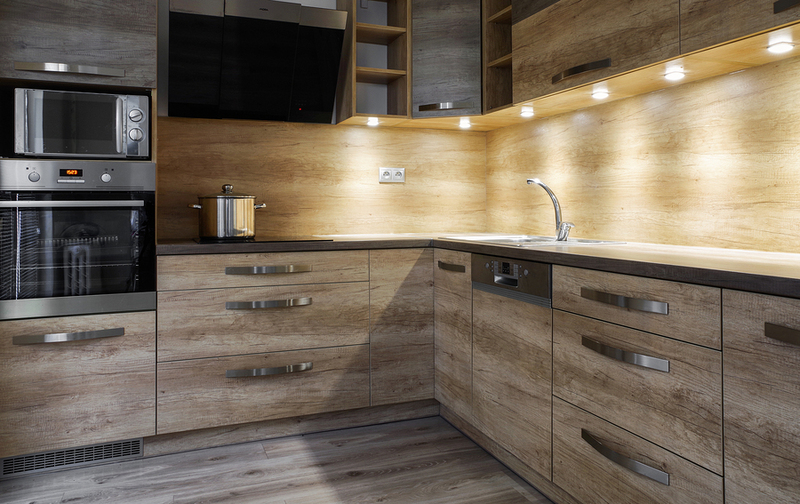 While finishing up your kitchen remodeling in Bowie, you had chosen your favorite Yorktowne Cabinets to adorn the space. But now you are struggling to find ways to maximize that space. Well, you can easily turn one shelf in your new cabinets into two by adding in a wire shelf riser. If you have a lot of dishes that you need to store, this allows for more room and better organization. Just because you are short on space in the kitchen, doesn’t mean you have to sacrifice your love of mugs and tableware. If you have deeper cabinets in the kitchen, you can use them to their full advantage by adding in durable plastic bins. You can store smaller table items like tablecloths and other linen items in the bins. Also, having them in the bins means they are easy to reach when you need them, and they keep everything organized and together, so there is no need to reach and search those deep cabinets. Have you ever considered storing your pans in your new cabinets sideways? Our pots and pans are probably some of the hardest items in the kitchen to store properly because they always get out of control and make a ton of noise when we try to get to what we need. However, you can stack your pans, cutting boards, and pots in your new cabinets horizontally and this can help limit all this frustration. Finally, you have probably noticed the amount of space that is available on the top of the cabinets. Well, instead of just throwing items up there to get them out of the way, you can consider using wicker or wire baskets to add in a decorative element while also keeping everything organized and out of the way. So, before you become too frustrated with the limited amount of storage space you have available in the kitchen; consider a few of these space-saving tips so you can continue to enjoy your newly renovated kitchen and your brand new cabinets without feeling like you have to get rid of items due to lack of space. If you still haven’t picked out those new cabinets for your kitchen, contact us at Cardigan today to go over your options.